A dependable crisis communications plan is an anchor in a sea of instability. It aligns the response of an organization, provides step-by-step directions, offers essential resources and establishes roles and responsibilities. Recent gaffs that shook the stability of several large companies — from United Airlines’ violent removal of a passenger to Pepsi’s distasteful commercial — have highlighted the significance of a measured, strategic response. While some corporate reactions made the public wince, other organizations adroitly backpedaled with profuse apologies and promises of change. In the digital age, damaging incidences like these are amplified by the pervasive use of online social mediums. Now, traditional geographic barriers aren’t a hindrance to the spread of information and anyone armed with a smart phone can spark a wildfire response online. 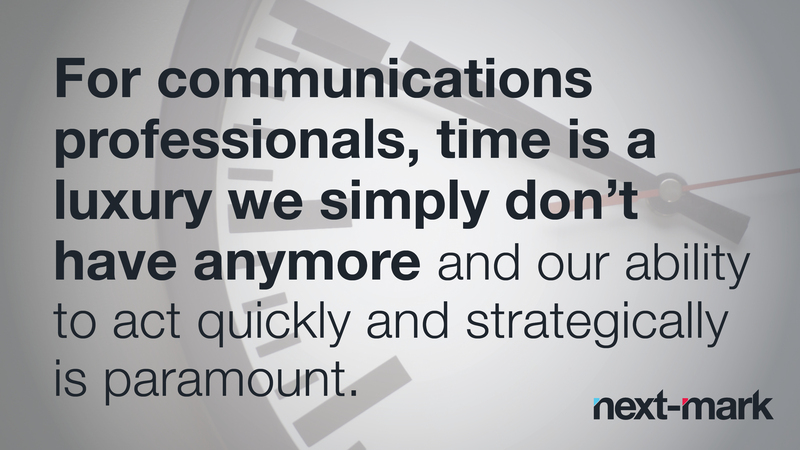 For communications professionals, time is a luxury we simply don’t have anymore and our ability to act quickly and strategically is paramount. Here are a few ways you can expand your crisis communications plan to ensure your organization uses digital channels to its advantage. What you have: Key messages that can be tailored to the situation and the organization’s position. Messaging is a standard piece in crisis communications planning, and it gives representatives a foundation for content creation during an incident. What you should add: An expanded set of content with short, preliminary responses that representatives from your organization can quickly push out online. A swift response, even if it’s simply a reassurance to the public that you’re investigating further and will have an official message soon, can help quell the spread of misinformation. Your organization will also appear proactive in investigating and remedying the situation. These responses should be developed for a number of scenarios, approved by senior leadership and included in your plan. So if an unfortunate circumstance erupts, a representative can make a quick recommendation for an initial response with one of the already-sanctioned messages. What you have: Instructions for how to remote-access your company intranet portal and other secure documents. These guidelines ensure your communications teams can connect with the resources they need even if they aren’t at their workstations. What you should add: Directions for posting on your numerous digital channels. A crisis rarely strikes at an “opportune” time when the office is fully staffed and at-the-ready. Don’t get stuck in a situation where you can’t access your online communications tools. In the event your social media and web experts are unavailable, there should be simple but detailed instructions for logging onto the organization’s digital channels and posting content. Make sure you specify the appropriate approval processes and, of course, all usernames and passwords should be stored in a secure space only accessible by a group of authorized users. What you have: A triage plan for fielding media requests. One of the most crucial elements of a crisis is how the media reacts, and a plan for responding to inquiries from the press in a timely manner is the cornerstone of crisis response. What you should add: Guidelines for video recording and live streaming on social channels. This strategy will certainly not be applicable for every situation, but outlining the protocols for uploading videos or streaming online should be included in your crisis plan. Consider a situation where your spokesperson is unable to meet with reporters, but needs to connect with audiences through more than a written memo. Employing video is simply another tool you can use to efficiently communicate and successfully control a disruptive situation. The goals of any crisis communications situation are to ensure safety, manage organizational reputation, communicate effectively and prevent financial loss. In our 24/7 world, an active online presence is one way your organization can quickly respond and navigate through a crisis.